MT. TARANAKI TO ERUPT IN NEW ZEALAND? MOST HAUNTED PLACE IN AMERICA? HAPPY 4TH OF JULY EVERYONE IN THE USA! Right by your side, Tom, with your guides who send you love today. Good life, everyone, and thanks for your energy. I need a lot these days. Yes, they, I, and many people do send you loving energy, Tom. Yes, there are those who reject what you receive and there will be those who do so the rest of your life, but for many you awaken and give them, as you term, a different perspective—most of the time much more accurate. Attention everyone in the Midwest, set your calendars for Saturday, September 22. That’s when I will be giving a presentation on The Gentle Way and Atlantis & Lemuria in Grand Island, Nebraska. It’s a two hour drive from Omaha, and around six hours from Denver. More information to come. We have reached the year mid-point. I had previously said that I would only ask for an update on the probabilities of an eruption of the Yellowstone “super volcano,” as it is called, and the probability of the West Coast having a major series of earthquakes. All this is for five years or more out. Previously the probabilities were 70% for Yellowstone and 60% for the West Coast. Gaia, we’ve reached the end of the six months, and so may I ask what the probability is for Yellowstone erupting—is it still 70%? It has ticked up a little, Tom. I know you thought it would be basically the same, given the amount of time before the possible event, but it is now up to 71%. Not much, but you would not expect a huge jump at this time. Ask again on that one in six months. And what about the update on the possible West Coast earth movements? Slightly more, Tom. It is now 62%. 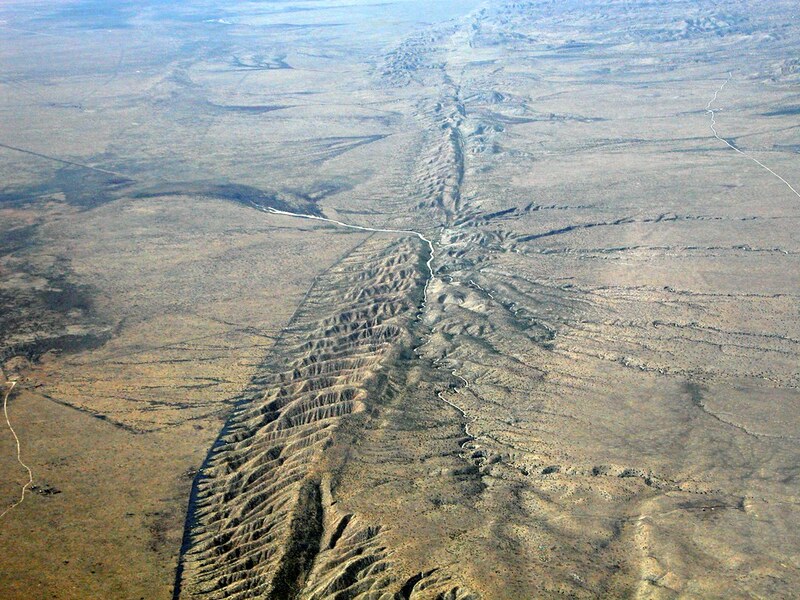 You read that your geologists have learned more about the San Andreas Fault down at the lower end of California. It has multiple ways to fracture. Still, it will be up to your souls as to how great the movement will be, as I must move it in the future. It is not if, but when, and at what magnitude. Tim writes: As always, all of us thank you for your service. I always look forward to your Newsletters. My daughter and I recently visited Sequoia National Forest for the first time. I was surprised to see so many dead and diseased trees. These were not the old Sequoias, but makes me wonder if the Sequoia seedlings are being compromised and the future of this fantastic forest. It was said the old trees are more than 3,000 years old and some say 6,000 years. We spent several days camping in the forest and in my quiet times I kept getting the message, something is wrong. I could not pinpoint it, but would get the same feeling over and over. Maybe it was something wrong with me, but the trees and land seemed to be giving me that message. Could you have Gaia give us some insight to these magnificent trees? Are they older than 3,000 years, and after all this time is there something going wrong with the forest? Thank you, and thank you for giving me insight to MBOs. 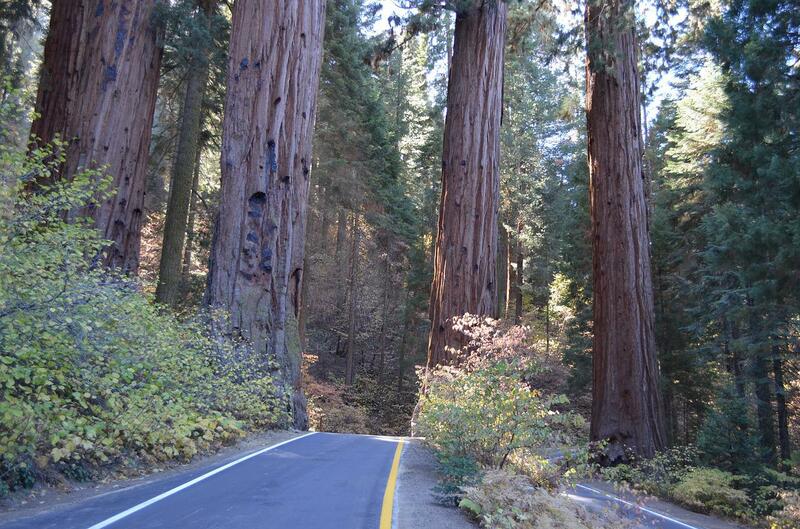 Gaia, are the trees in the Sequoia National Forest over 3,000 years old, and are they stressed for some reason? Yes, Tom, they are quite a bit older than 3,000 years. The attempts to judge their age has ranged as high as 6,000 years, which is fairly close to their actual age. So, not older than that? Correct, Tom. Use that figure. Why do some people feel they are stressed? This is a very stressful time for these magnificent trees. Would it be because they sense changes coming for them? Yes, Tom. There is a high probability of change coming. Will it be fires, or something else? That is one probable reason. Is there any probability of the trees undergoing earth movements? There you have it, Tom. For them there is a high probability of great movement. They are able to sense these things years in advance. Why can’t you protect these trees? All souls that agreed to contribute to life on Earth agreed to what you would call the rules of existence. Let’s leave it there, Tom, for the time being. Science of Cycles newsletter, by Mitch Battros, has a story this past week about the possible eruption of Mt. Taranaki in New Zealand. Click here. Gaia, what is the probability of Mt. Taranaki in New Zealand erupting in the next five years? Quite high, Tom. It is all part of the Ring of Fire that will grow much more active in the next few years. There will be plenty of warning to those who may be affected, but it will “come alive,” as volcanologists term it. Lee writes: This Tulsa World story has been shared with you: Immigrant children forcibly injected with psychiatric drugs, lawsuit claims. Click here. Is this true??? I hope it isn’t and have said BPs for their safety. Thank you for any information you can find out from Gaia. 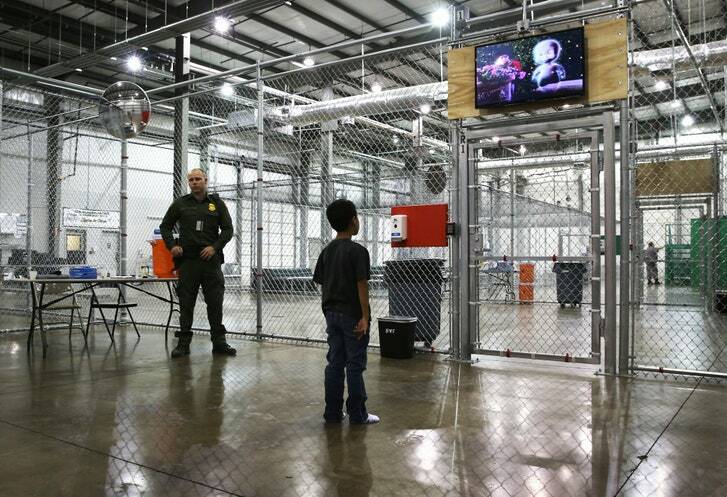 Theo, is it true that some immigrant children are being dosed with psychiatric drugs? Quite so, Tom. This will be a stain on the government once this is revealed. Children need to be comforted, and these caretakers are forbidden from touching the children who are quite stressed, so they have used drugs to keep them sedated. Not widespread, Tom, but once is too much. Amy writes: Does President Trump do the same kinds of things in the upper time lines as he does in this one? Are his policies and viewpoints the same, or is he of a more benevolent mind in other timelines? Theo, is Trump the President on the upper time lines, and if so, how different are his actions? I know you thought he might not be, Tom, but it was decided to shake things up all along the different time lines. Yes, his actions are much more gentle on the upper time lines, but still enough to generate a large response, and have people become involved that would never have, had he not become president. Take this latest problem with the immigration. On the upper time lines he never allowed any separation of children from their families. Immigration is so much easier on the upper time lines, as there is not the violence you experience on the lower time lines. These are all learning experiences for you. 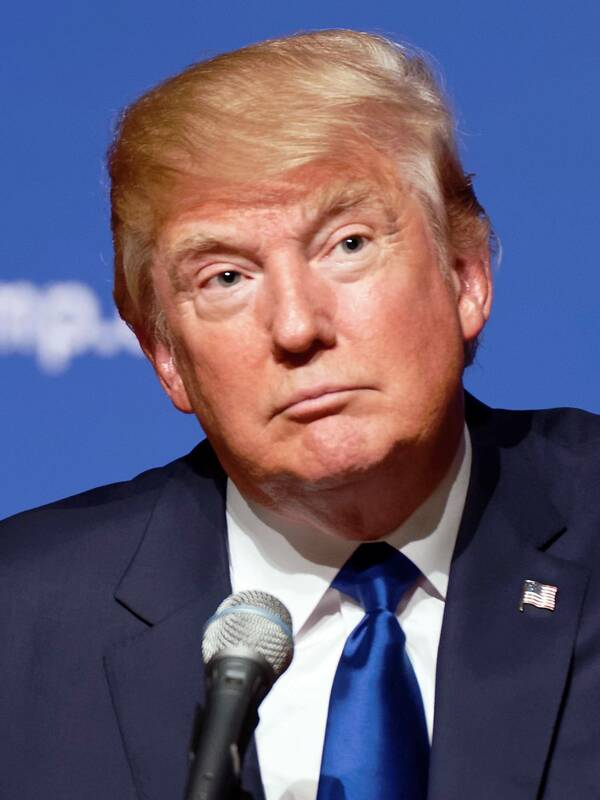 Theo, Tony Swartz, who ghost wrote or co-wrote The Art of the Deal over 18 months for Trump, said Trump is a mix of paranoia, grandiosity, and cruelty, or is he just biased? Mr. Swartz had many months to analyze Mr. Trump’s personality, and those were his conclusions, and certainly there is accuracy there. Still, another writer with a different background would have viewed Mr. Trump in different eyes, so there can be truth in seeing him from more than one vantage point. As we have said in the past, Mr. Trump is a younger soul and has many flaws to overcome in his many lives in the future. This is the same for most people. Don’t forget that Benevolent Prayers can guide him and all those involved in the political process to make decisions that they would not make, had there not been prodding from their higher selves. That is the beauty of many people saying these BPs. Gaia, Steve Rother says several waves of energy are coming this way in August, September and October. Is that the way you see it? Yes, Tom, Mr. Rother did receive correct information. We will be passing through several waves of energy, which will be good overall for everyone on Earth. These waves of energy will contribute to heighten your awareness, and can be described as “game changers”—their cumulative effect. Welcome these energy waves with love. They will assist you in moving higher in the fifth focus. Peter on Facebook asked if the physicists who think they may have discovered a “fifth force” are on the right track. Click here. Gaia, scientists say they have discovered a fifth force. Your comments, please? This is but in a long line of discoveries about energies they are still unaware of, Tom. They are still only “scratching the surface,” to again use that term. This discovery will, I might add, lead them to another energy, so they should keep working in this area. There is much to learn here. For my new readers, Antura was introduced to me by Theo. Antura is an ET, specifically an amphibian, and is a member of my soul “cluster.” When he’s having lives on Earth, Theo takes care of him too. Antura is part of a “first contact” team that goes out to emerging worlds to make contact thousands of years before they reach a level where they can travel in space. You can read much more about him, his planet, the original “star wars,” or The Great War as it is now diplomatically called, in my book FIRST CONTACT: Conversations with an ET. Here are more questions I asked this week. Antura, do each of the three other team members have three people each, and if so where are they located? The answer to the first question is yes, each was assigned, you might say, to someone typically from their home planet in order to make it easier for communication. It takes someone on Earth wanting to communicate, and then they are paired up, you might say. Of course, these are all soul contracts. Our team members have contacts on every continent and/or large islands such as Japan and New Zealand that are not considered continents, but have larger populations. And yes, each has a minimum of three, but a couple have one or two more than three. Antura, is the reason drones have different colors—red and white that I have seen in photographs—because they are operated by different societies who developed the drones slightly different from each other? Exactly, Tom. I knew you would put two and two together. You might say there isn’t just one company that makes these drones to give you an explanation in Earth terms. But they are having almost identical functions, yet with differing instrumentation, depending upon what their duties are. Antura, why is it that with millions of cell phones there doesn’t seem to be that many UFO sightings? Yes, they have been instructed to not be so blatantly recognizable, since there are still many people who would—to use your term—freak out. This will quickly change when the Russians finally “Disclose” meetings. Again, we have this faction in the Federation that does say we should not be so easily observable and have done their best to slow things down. If everyone saw an ET ship every day, it would be disconcerting to many of those who would then try and attribute the sighting to something man-made. How many scout craft go out from your mothership on a given Earth day? The ships are manned, Tom, not by the same individual, so the same ship can go out multiple times. Therefore, although there are limitations on the number of scout craft the ship has, it may seem as if there are many more, when in actuality the same ship may be piloted three or four or even five times a day by different people. I preface this so that you understand that the number of say 300 to 400 times is actually a few ships always gathering information. Then we are to use the 300 or 400 number and not higher? Perhaps a little higher, but not much. I assume the ships do not have to be refueled? No, Tom, their fuel supply is endless. I cannot go further in that discussion as it involves propulsion systems—a no-no for discussion. Do they ever bring humans to the ship who will not remember the experience, because people from their planet wish to check on them? That has been done, but not recently on our ship. You and I have discussed that it has been occurring on other ships. I’m surprised it would not be wide spread. It is not, or then it would make the news. There are specific reasons that those from a planet would wish to study a person, from their planet, having lives on Earth. Naturally, their memories are “wiped” to use Earth terminology, because most of the time the person would not believe in ETs in general. Antura, how do you record historical moments, without someone seeing you do so? Yes, we all knew you would ask this one day. As you suspect, Tom, our recording devices are so small they would amaze you. We can show those to you on your trip. They can take any form on any planet we visit, but on Earth there is a wide variety of shapes, and yes, it can mimic flies or even smaller than that. They truly are miniatures. They can be part of a bush or tree. They have no reflective surfaces, so they are never spotted. Antura, we saw Solo: A Star Wars Story, and was wondering, are there any four-armed ETs—not counting the obvious multi-limbed insect being you mentioned before—on your ship? No, but as you might assume, Tom, there are hominids in the universe that have multiple arms. Yes, we have a couple of crew members with more than two eyes. Until you see for yourself, it is difficult to describe the many variations, but we are still open to questions such as these. Your robots are much more sophisticated than those shown, I would think. Yes, those are quite primitive in our eyes. Peggy writes: We were warned of high winds, or tornados and rain. I live by the lake and my yard was all water coming right up to the house. A tornado hit across the lake. I asked the weather angels to take the winds, and rain up and out over the middle of the lake where it will do the least harm and they did. Thank you, angels. Donna writes: A few years ago my last cat died, and I was having a really hard time adjusting to no kitties in the house. I had seen cats around my neighborhood from time to time, so one evening when I was bringing in my garbage can from the curb, I said "I request a Most Benevolent Outcome to feel a cat rubbing against my leg." Within a couple of minutes a cat appeared and rubbed against my leg and then left. I was so grateful to my angels for doing this for me! And I'm very grateful to you, Tom! 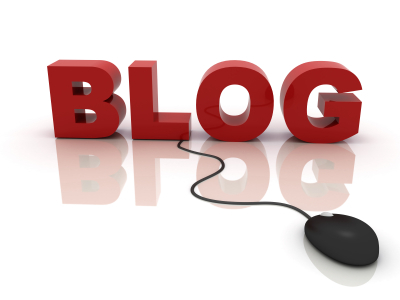 Amy writes: When we pass to the other side after this life, is our understanding of how things work and where we fit in complete, or do we still lack some understanding of the workings of the soul even there? Are there also levels of understanding and learning at the soul level? Theo, do we immediately know or remember how things work when we transition, or do we lack understanding? Are there levels of understanding even on a soul level? For your first question, it all depends upon the individual and how many lives they’ve had on Earth. The majority of soul fragments take a little time to recover from the rigors of Earth lives. Hence, the remembrance of going to a quiet cottage in the mountains or a lake to rest. But soon knowledge returns and they are back to understanding as their souls remind them. Then there are old souls who immediately recall this transition phase and take little time (using your terminology) to move along. Regarding the different levels of knowledge on a soul level, no, not after the initial phase of recovery. You can view all of your past lives, but are not encouraged to view too far ahead. You are quickly preparing for your next Earth life, so that is your focus. All information is instantly available to you in a way that is hard to describe, as you do not live in a quantum state that you do after transition. 1. What was The Bullet Proof Wolf? 2. Who were the men who had the heads of dogs and were smoking cigarettes? 3. Who were "The Controllers" (the 2 voices speaking to each other 20ft above the witness’s head)? Click here. Let’s first set the stage, Tom. These are ETs that took the liberty of testing human reception of various images and such. The wolf was but one of these. 2. Who were the men with dog’s heads smoking cigarettes? Another image conjured up, Tom. 3. Who were the “Controllers” speaking 20 feet up in the air? Yes, these were the ETs who at that time did not know they could be overheard. Then when they did, they liked the idea of being called the Controllers. When was the Petra complex (city) built? Gaia, when was the area around Petra first inhabited? Well over 10,000 years ago, Tom. It first was settled with nomads, but slowly developed into a more sophisticated time period and this included the building of the Petra monuments. 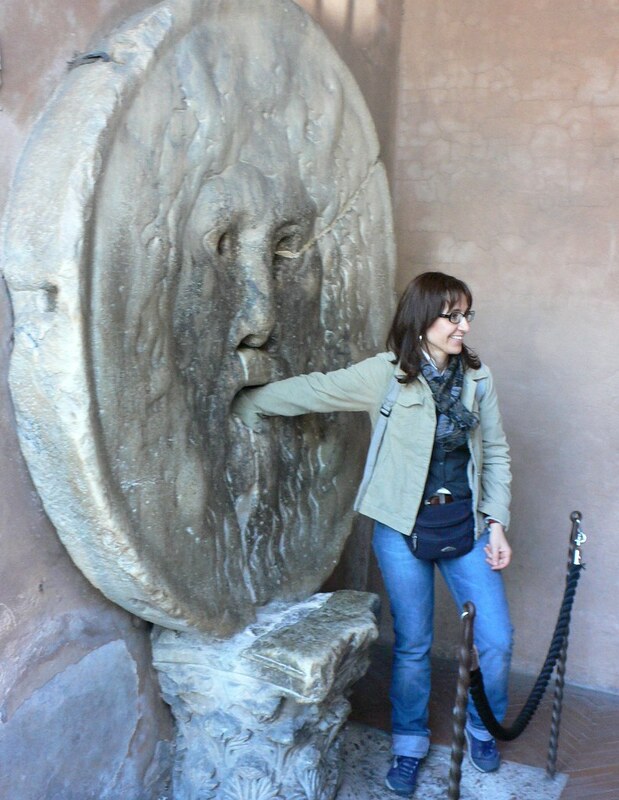 John writes: The Mouth of Truth is a big marble mask which is in Rome, Italy. An old myth is that it would bite the hands off of liars who stick their hands in its mouth. It was featured in a humorous charming scene in the film Roman Holiday (1953), which starred Gregory Peck and Audrey Hepburn. Movie scene, Click here. 1. What was the original purpose of The Mouth of Truth? 2. When did the legend of The Mouth of Truth originate about it biting the hand of any liars who stuck their hands in its mouth, and who started the legend? Gaia, what was the original purpose of the Mouth of Truth in Rome? When did the legend begin? When did the legend start? Back in the Roman days. Sandy writes: I spent the month of May, 2017 in a coma with MRSA pneumonia. During that time, I dreamed that we had made contact with ET via Russia. Was I wandering around over time lines during that time, while I was comatose? Theo, was Sandy crossing over to a higher time line when she was in a coma and dreamed about the Russians and ETs meeting, or was this simply a dream she conjured up? No dream, so much as visiting the upper time lines. It is rare that she would remember that, as of course a coma is quite different than a normal dream. As Theo has said a number of times in the past that I had lives at the beginning of every religion, I wondered if I was in attendance at the Council of Nicaea in the period of 325-327 AD. Constantine brought 318 Bishops and their entourages together to decide what would be the basis of the Christian religion. Click here. Good question, Tom. Yes, you were well known, and no you were not Arius, as you were wondering. You were one of the well-known bishops pushing for Jesus to be the Son of God. I thought I might be one of the people who followed Arius? No, not then. You had decided before birth that you needed to try and include as many books as possible for the New Testament, and had you been part of Arius’ party you would not have been able to negotiate as he was rejected by the majority of the attendees.